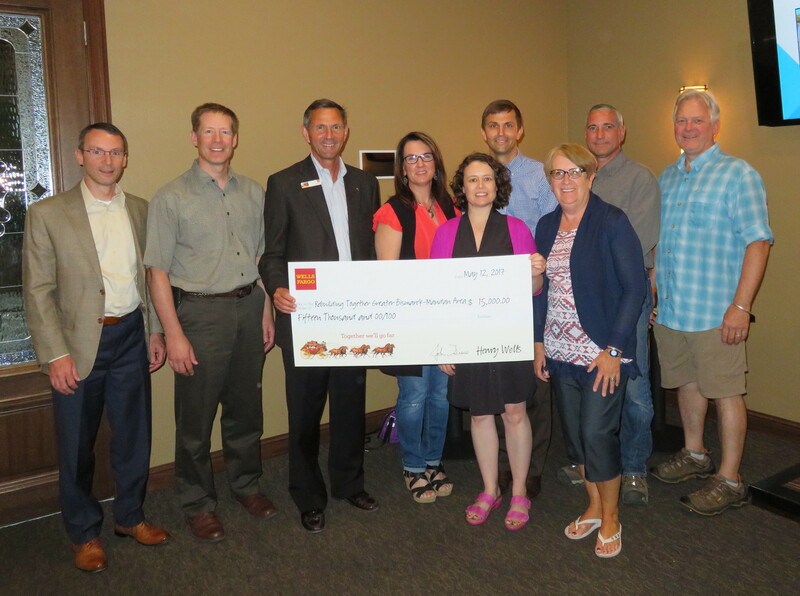 Rebuilding Together Bismarck-Mandan is excited to announce that we were recently awarded a $15,000 grant from Wells Fargo for a fifth consecutive year! The funding is made available through the Wells Fargo Housing Foundation’s Team Member Volunteer program, which provides support to nonprofit organizations when Wells Fargo team members help build, renovate, repair or paint a home for low-income homeowners. We are very grateful for the financial and volunteer support we have received from our friends at Wells Fargo! Pictured below left to right: Rebuilding Together Board of Director, Ryan McKay employed at Starion Bank; Rebuilding Together Vice President, Kirby Evanger employed at BND; Wells Fargo Regional Business Banking Manager, John Giese; Rebuilding Together Board of Director, Vicki Moran owner of Hallmark Homes; Rebuilding Together Board of Director, Brooke Steffes employed at MDU Resources; Rebuilding Together President, Mark Giese employed at Wells Fargo; Rebuilding Together 2nd Vice President, Caroline Ternes; Rebuilding Together Board of Director, Jim Miller employed at MDU, and Rebuilding Together Board of Director, Jon Hanson.